Teacher and student relationship is the most respectful and powerful relationship in our life. After our parents, teacher plays an essential and efficient role in our lives. So, it’s very important for the teachers to cope up with their students and play an important role by teaching them the laws of universe, to make them understand what is right or wrong, to make them sensible and analysis things wisely. 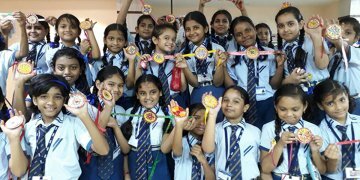 So, following are the few points about teacher and students relationship in top CBSE schools in howrah that make you understand how you can become a most trustworthy person to your students. Before the mid break (summer vacation) try to learn the names of every students along with knowing their interests, hobbies, passion etc. It will give you an easy access to know about them and the students too will also appreciate the fact. Appreciate all the little things your student is trying to do. Encourage them and guide them. Approach them with positive comments and try to make them believe and recognize their potential. While teaching, if you enthusiastic about your content or subjects, then students will surely going to gain interest in your content which will lead to a great and energetic teaching sessions. 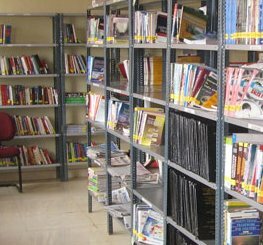 Sudhir Memorial Institute Liluah, believes that through this process students can learn and memorize their chapter more easily. Students make mistakes and that’s a valid point. Being a good teacher, you need to control the situation more professionally. You can use time-out procedure rather giving them punishment. This will make you understand what they want and you can figure it out. Everyone had their own personal life and have their own personal problems, but before you enter into the class, make sure that you left all your personal problems outside the classroom. Make sure that your students may not face any trouble regarding your mood swings or about your personal life. It gives a negative impact to the student which can also make you their hated teacher. You can’t earn respect, unless you know how to give respect. Students learn what they see from their elder ones. So, teacher should treat every student equally. Top CBSE Schools in Howrah believe that every student should be treated equally and wisely. You need to manage both student and situation carefully. 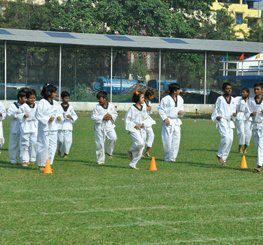 It is necessary to know what your students like in extra-curricular activities apart from studying. Go and visit when your students while they are playing, participate in that game and talk to them about their interests and passions, even if you two don’t share the same interests. Encourage them. Students always love to learn lessons, if they are taught by employing the method of interesting story telling. It helps the students to relate and they visualize things and gets connect with the circumstances more easily. Teacher should provide structure to the student. This gives the students a healthy and positive attitude towards the classroom. Before proceeding in this activity, you need to maintain and follow some rules. When you approach them with the topic, make sure that everyone are listening, paying proper attention and everyone should give their personal opinion. Teaching is an art, and usually we find teachers resorting to the traditional method of classroom lectures; which can bore the students. Eventually the students resort to day dreaming, bird watching from the class, counting the minutes to the bell and so on. This is when you being a teacher, can use some effective methods, to keep the child interested rather than the usual shouting and punishments in class. 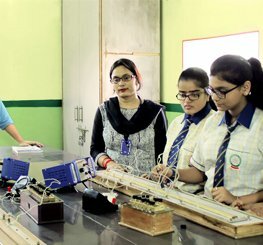 There is a Best CBSE School in Howrah namely Sudhir Memorial Institute Liluah has adopted innovative teaching methods to impart knowledge to its students. Some of these tips can help you keep your students engaged in class, as they learn the day’s lesson. Firstly, be honest, friendly and firm. No student wants an Adolf Hitler as their teacher, but rather a person on whom they can rely upon for help. See that the work assigned is to their level, simple addition cannot be given to class eight students it will bore them easily, or give them problems on permutations and combinations it will make them lose interest. Rather give them topics such as problems on mensuration, time and speed, and Pythagoras Theorem. Secondly, connect what you teach with real life. This is especially applied in the case of teaching socially deprived children. For a playschool teacher, always teach them each alphabet with an example of an object in real life. For example instead of teach D for dinosaur, teach them D for dog. Teach them things which they can relate to their culture. You cannot teach Indian children about Halloween because that is celebrated in western countries not in India. Link their routines with learning. For example the concept of body parts can also taught by discussing daily routine activities such as washing hands, bathing, and brushing of teeth. Thirdly, give them choices. Allow them to form groups, and choose a topic to work on. This will keep their interest, bring out their leadership skills, and help them to understand the concept of team work, as they work for the same topic. Let them work at their own pace. Fourthly, use methods of audio-visual learning. 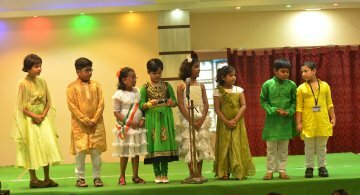 Nothing is better than audio-visual learning, as this captures the attention of students. This can be from movies to even puppet shows, and small skits. Playschool students can be taught morals and manners, by narrating story with flash cards. For primary to middle school children, puppet shows can be arranged to teach them about health and hygiene, such as importance to keep your environment clean. Fifthly, learn and use their interests and fascinations. If a student in your class is interested in cars the Physics teacher can use this and tell about how simple machines and levers are important in the case of making and repairs of cars. Last but not the least; do not use the same teaching method everyday. Once the students get used to the teaching method they will get tired and resort to methods of portraying their disinterest in the topic. Therefore, best way is to mix up your teaching methods. Using these six tips, a teacher will not only have the attention of his students, but will also be able to keep them engaged in their work. Because to learn something, needs proper concentration, which can never be gained by disinterest in the subject. Is the School doing enough for your Child? I am again conveying my heartfelt thanks to the Principal & all the members of SMIL group for their fantastic & innovative initiative of tracking transport vehicles carrying our child from wherever we are. Now it is well known to all that SMIL, LILUAH always look forward to take the advantage of modern science & technology for the benefit of students & ofcourse to relief the metal agony of the parents.